One of the advantages of social media, besides anonymity, is the possibility to express oneself without adhering to theories of scientific truth and error or abiding by public/popular/actual rhetoric. 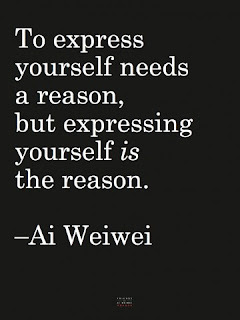 In other words, anyone can express oneself without being felt compelled by the accepted or prevalent norm. 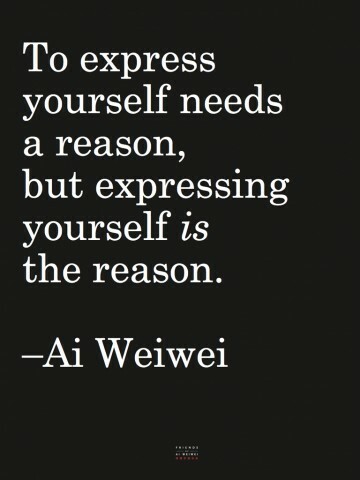 One is merely expressing oneself. There is no demand for logic, reason or arguments to support one's statement(s) - at least one need not oblige. In one sense this can be a very dangerous endeavour. One can deny total responsibility for what one has just stated and offer no explanation or sensible justification for either. That can lead to serious personality disorders which affect not just the individual concerned but all those associated with him or her. On the other hand, it can be seen as a psychological letting off of steam. A sort of therapy wherein one merely expresses one's opinion. Not necessarily a judgement or conclusion. A catharsis. All the same the balance or the line dividing the two can at times be very thin and slippery.